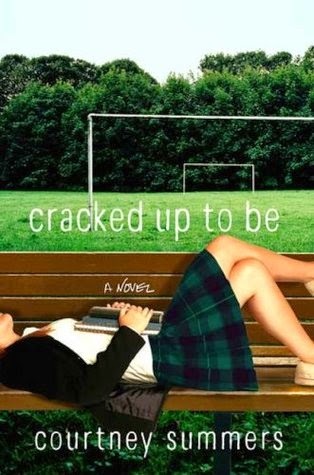 When "Perfect" Parker Fadley starts drinking at school and failing her classes, all of St. Peter's High goes on alert. How has the cheerleading captain, girlfriend of the most popular guy in school, consummate teacher's pet, and future valedictorian fallen so far from grace? Parker doesn't want to talk about it. She'd just like to be left alone, to disappear, to be ignored. But her parents have placed her on suicide watch and her conselors are demanding the truth. Worse, there's a nice guy falling in love with her and he's making her feel things again when she'd really rather not be feeling anything at all. Nobody would have guessed she'd turn out like this. But nobody knows the truth. Review: Parker Fadley is a perfectionist who quickly takes a turn for the worse. When the book starts, she is pretty horrible to her classmates, parents..pretty much everyone. It's inconceivable that her ex-boyfriend and a new boy at school would be interested in her, she is that nasty (to be fair she is pretty snarky at times which I found funny). It's clear something bad happened and it's slowly revealed throughout the book, a scene at a time. I enjoyed the writing style and while I didn't like Parker, I understood her on many levels. I was one of those high school kids who strove for perfection. It's a lot of pressure. I'll avoid spoilers but when we finally find out what happened....well, I'm not going to say what happened was her fault but she definitely should have spoken up earlier. Overall-well written book with I enjoyed it.